My lovely boy Lachlan. He's 19 and has left home to start his adult life in central Scotland (perhaps that should go into the 'what am I scared of' section). Bringing him up was the biggest adventure of all time. We had a blast - mostly! Having an epic fail on the Highland Trail 550 then coming back to the start line the second year. I completed the second and third time I tried it but actually the real achievement was just making it back to the start line. 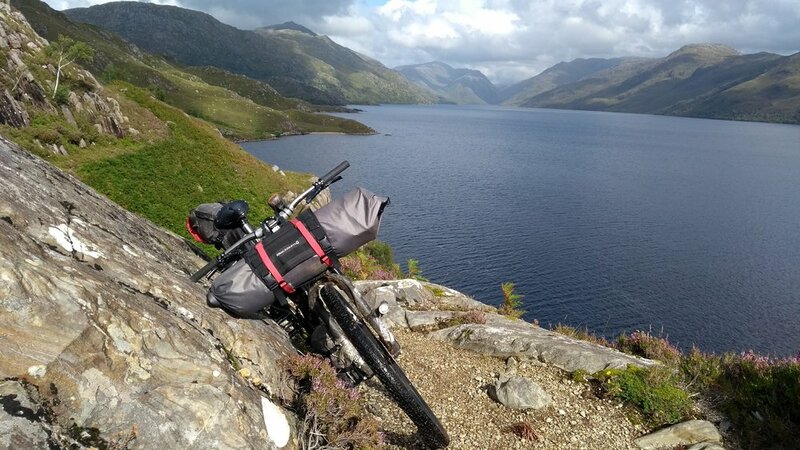 I've raced some bikepacking routes including the Arizona Trail 750, Highland Trail 550, the Cairngorm Loop and the Yorkshire dales 300. I recently completed a winter LEJOG in four days. But I also enjoy touring at a more leisurely pace - I've mountain-biked across the Alps (Haute Route), the Pyrenees and Romania. I also love hill walking and sleeping up high under the stars. I'm halfway around my Munros (Scotland's highest hills) and have climbed a handful of 4000m peaks in the Alps. The best trip was when me and my friend spent four days roped up together above 3000m climbing between peaks and sleeping in mountain huts. I was born with FOMO - fear of missing out! It's led me to some crazy adventures in the past but it can just as easily get me into nonsense - controlling the FOMO is my mission. And snakes - out in Arizona, in the dusk especially, cow dung at the side of the trails would look like a massive coil of snake. I used to scream out loud when I saw it. It probably made me ride faster though! I work in the Highlands within an education and social work department. I feel so privileged to be part of these amazing young people's lives (we have a lot of fun!) I've been there so long that they're giving me a sabbatical this year - which means 2018 is going to be jam-packed with stuff! 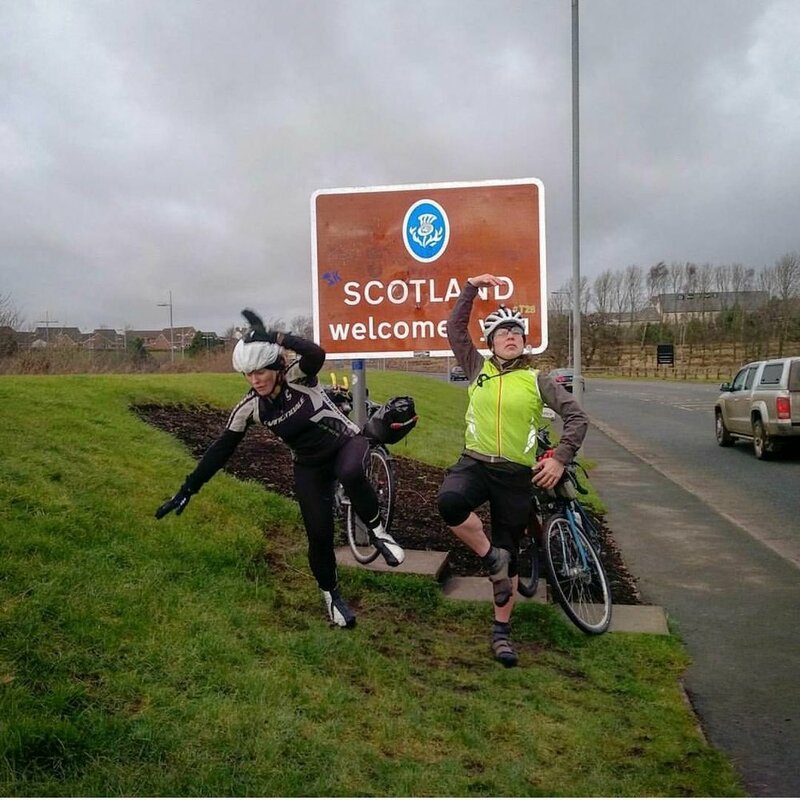 I kickstarted the New Year with some crazy friends and completed LEJOG (Land's End to John o'Groats) in 96 hours. I rode with The Adventure Syndicate as part of our schools project, chaperoning a young female quad as they completed the Strathpuffer 24hr mountain bike race at the end of January. After a gorgeous weekend in the lakes I felt all inspired to take on the Lakeland 200 (a bikepacking ITT) this May. Highland Trail 550 in May. I've debated whether to take part in this for the fourth time, but there is something rather alluring about it. I have my sights set on a sub-five-day time. Then in mid-June I'm going to set of on a self-supported circumnavigation of the world by bike. During this ride I'm hoping to beat the current world record time of 144 days.